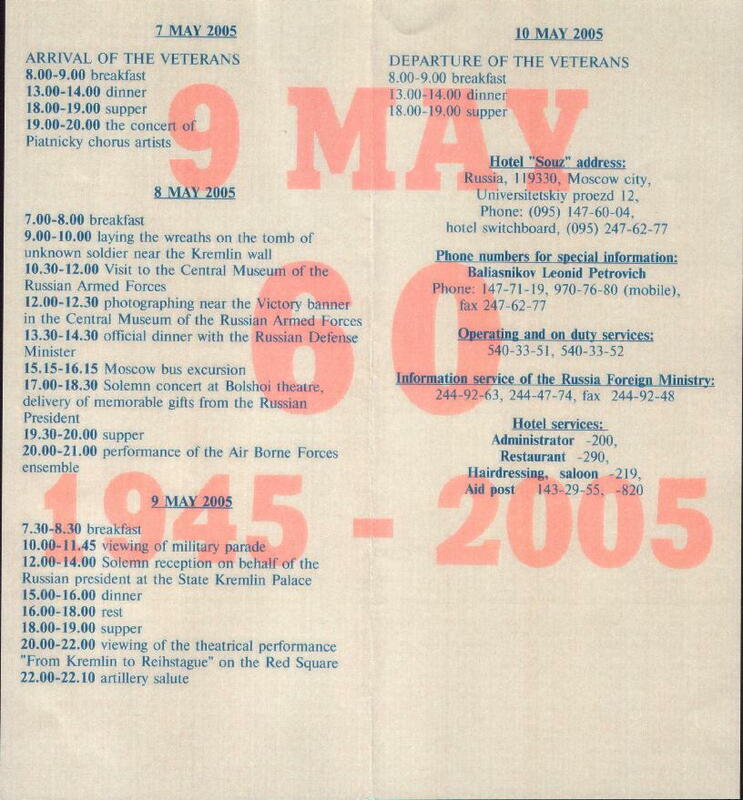 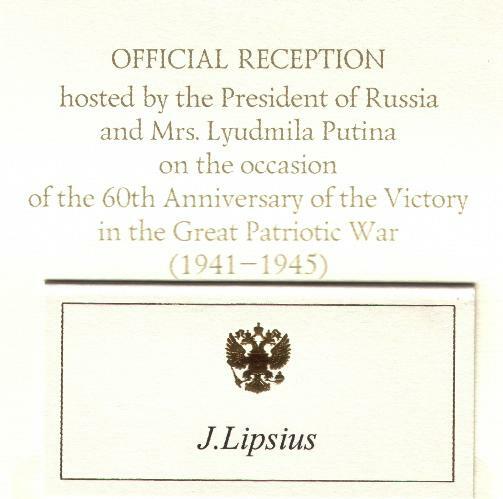 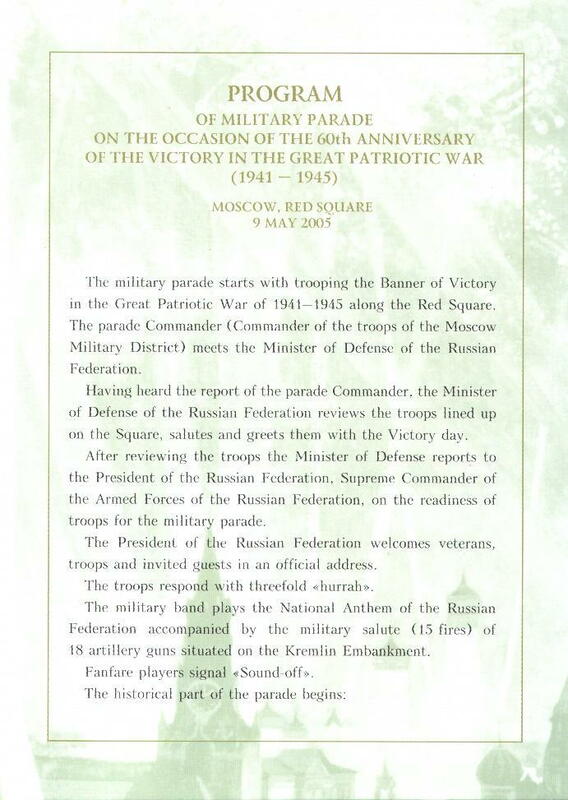 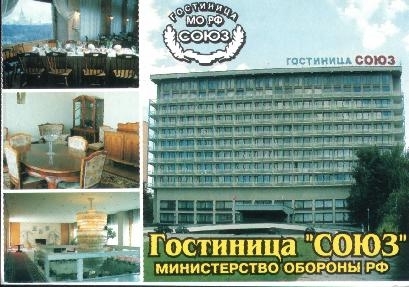 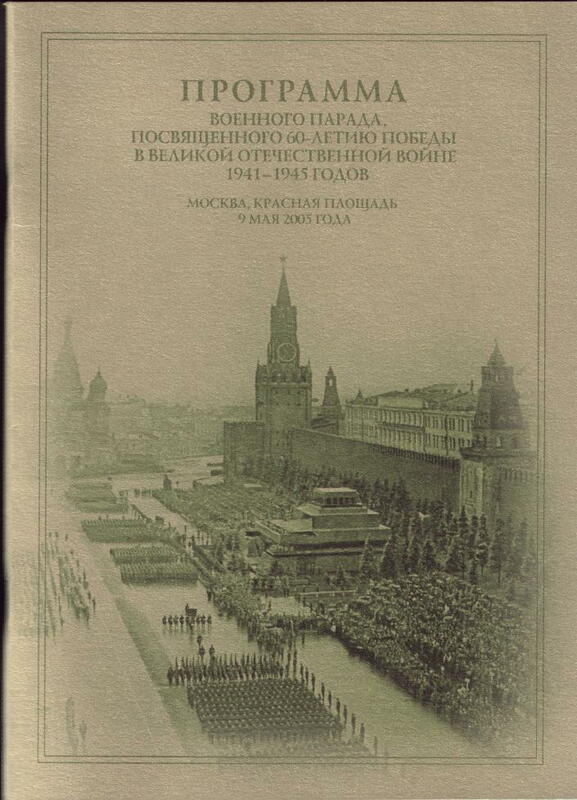 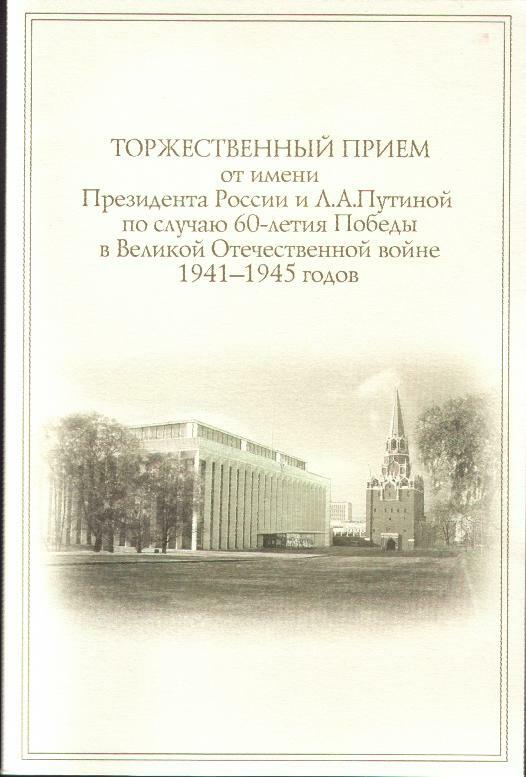 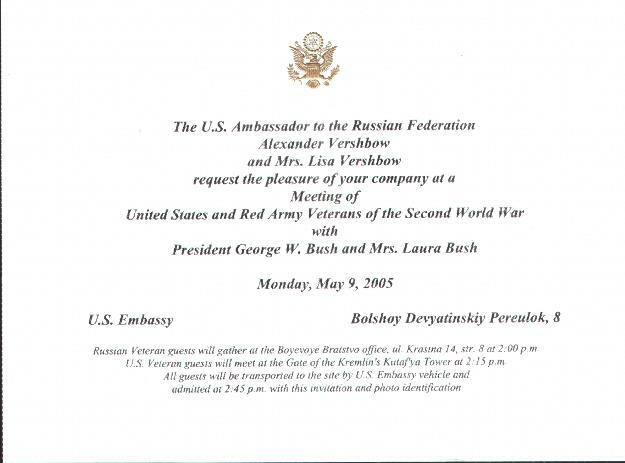 President Vladimir and Mrs. Putin and The Russian government were host in Moscow to U.S. President George and Barbara Bush along with eight American military men, May 7-9, 2005, so the United States would be represented at the Victory Anniversary Celebration of the Great Patriotic War. 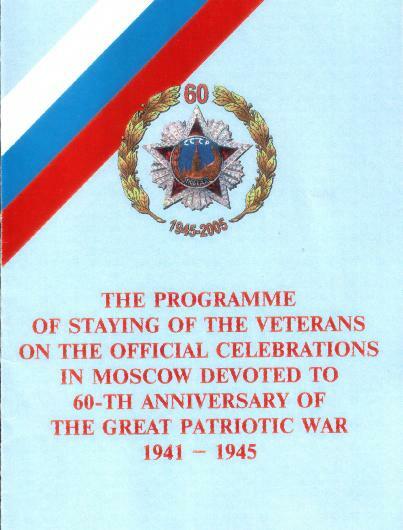 Also taking part were more than 50 heads of states and many WWII Russian and other Allies' soldiers. 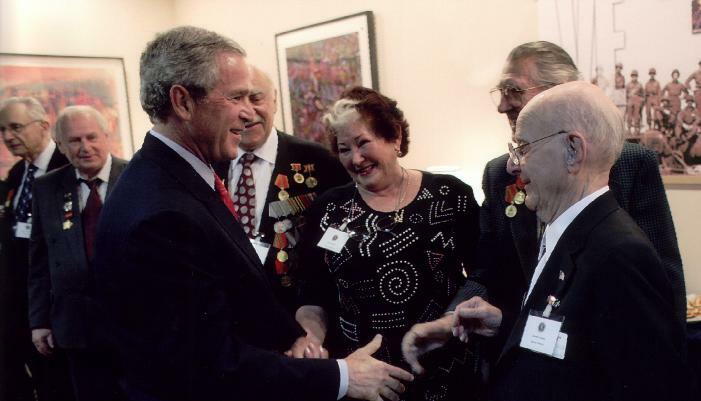 Igor N. Belousovitch, Falls Church, VA; 69th Infantry Division. 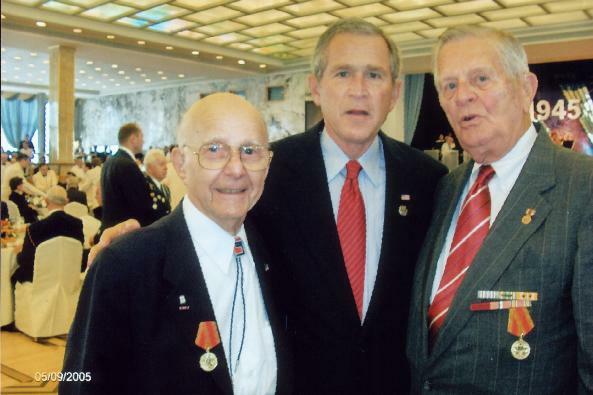 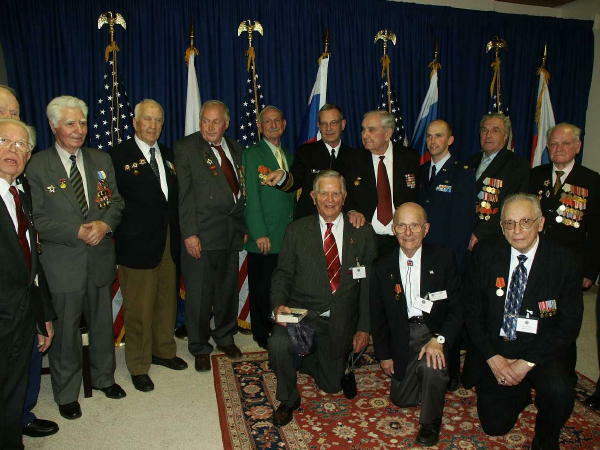 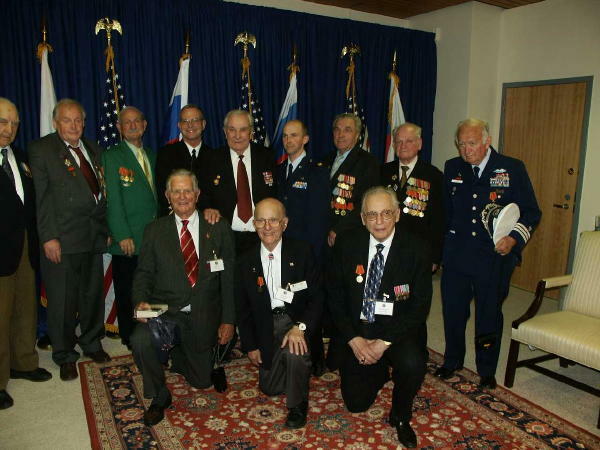 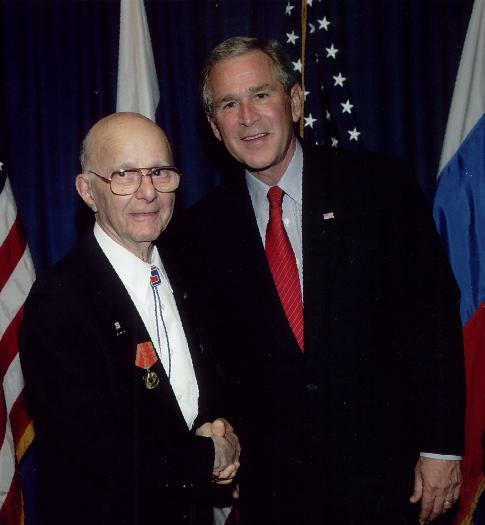 President Bush at Kremlin Palace Official Reception with American Veterans Joe Lipsius ( left) and Dan Grow (right). 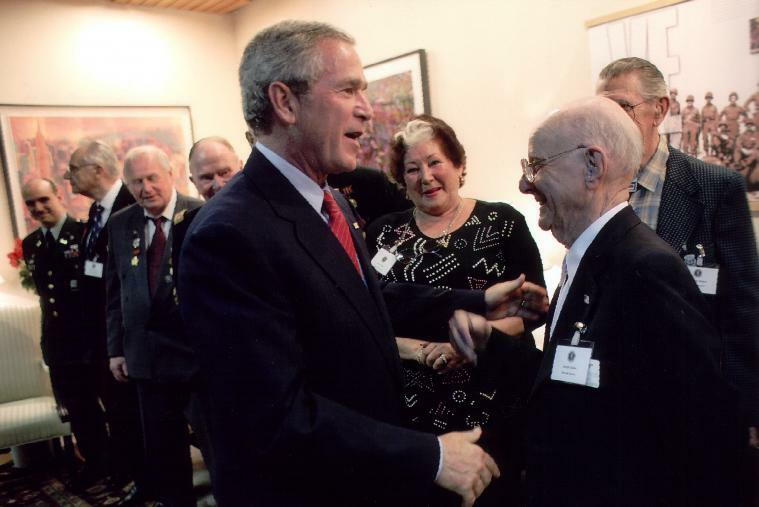 President George W. Bush shakes hand with 69th Infantry Webmaster, Joe Lipsius,Headquarters 272nd Infantry Regiment, 69th Infantry Division, at the U S Embassy,Moscow, May 9, 2005, during Russia's great celebration of the 60th Anniversary of Victory Europe Day, May 7 - 9, 2005. 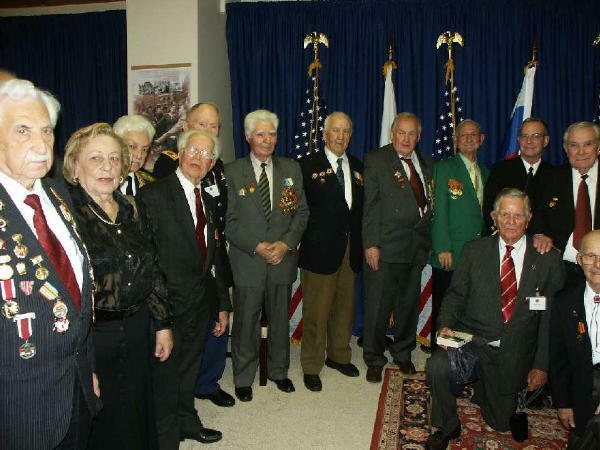 Bernard H. Zaffern, Co L 272nd Inf Rgt, President of The 69th Infantry Division Assoc. 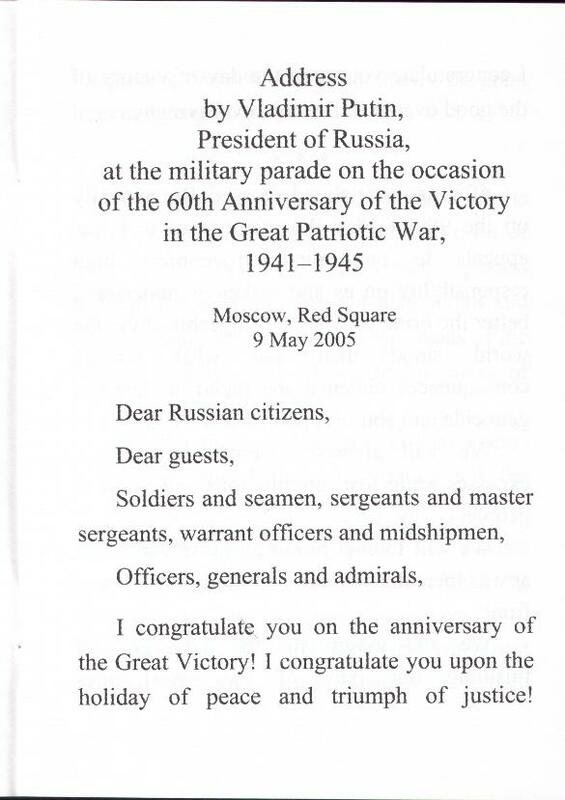 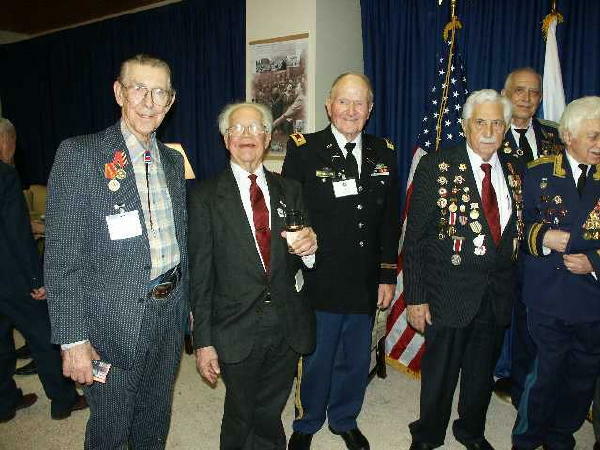 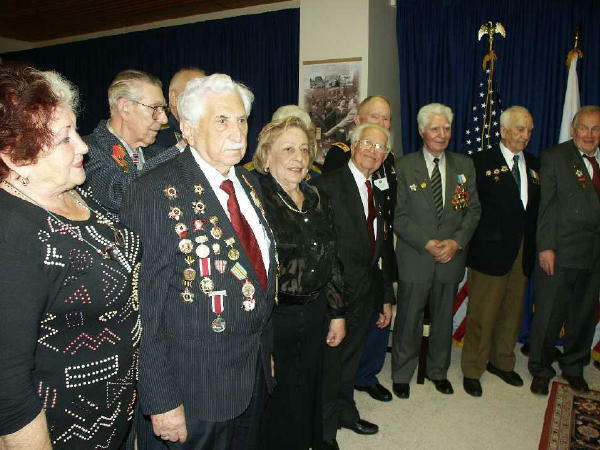 These four 69ers had a trip they will never forget as guests of the Russian government during its great celebration of four years fighting against Nazi Germany, 1941-1945.